Let’s face it, we are all busy and little ones are messy. They are like a magnet for messes. It is always handy to have HUGGIES Clutch n’ Clean filled with HUGGIES Natural Wipes. I have 2 boys and I always have wipes with me. I never know when I will need them. I ALWAYS have one in my car. I sometimes get in a hurry and forget to check the boys face before leaving. When I am putting them in the car seats, I notice they may have some peanut butter around their mouth. So, I just reach for the wipes and clean them up real fast. Also, very helpful cleaning up those messes from eating in the car. Strap the Clutch n’ Clean to the stroller or around a strap of the baby carrier while out and about. You never know when you will need them. Sometimes, my oldest may stubble, so I will use the wipes to help clean him up from the fall. Strap it to your purse. The Clutch n’ Clean is fashionable and this print is ONLY at Sam’s Club! I don’t mind adding it to my purse and taking it with me. Perfect when shopping or going out to eat. Strap it on your arm. If you are in a hurry, just sling it on your arm and go about what you need to do. Maybe run to the bathroom and clean up some food from the kids that got on your clothes?? That never happens, does it?? I just suggest never leaving home without it. Make sure to check out this cute video and tell me what is your #ClutchStyle is? 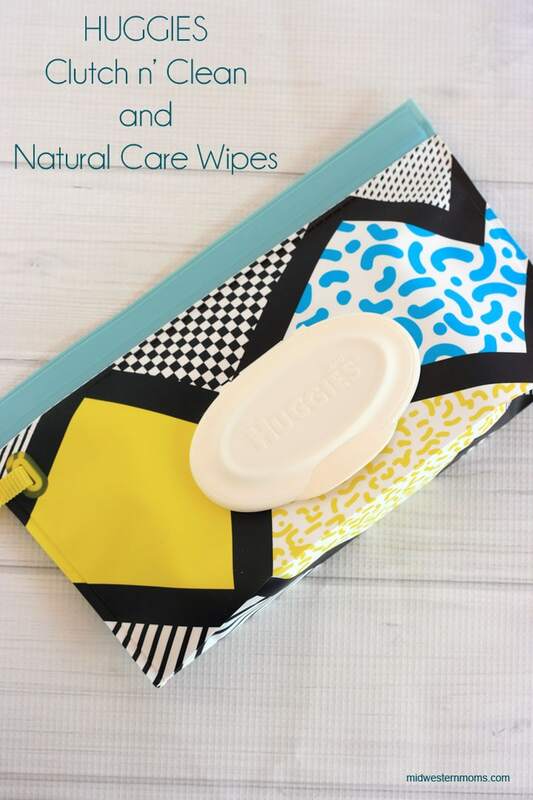 Thank you to Huggies ® Brand for sponsoring today’s post and inspiring me to try HUGGIES Natural Care® Wipes!